The Academy offers a variety of coaching, the aim of which is to give cricketers that invaluable head start before a season starts or before your child starts playing cricket at school. 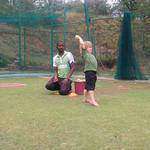 We also aim to promote the fun and enjoyment of the game of cricket and instill that team comradely at an early age. 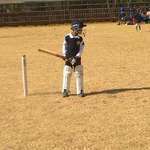 We offer Pee Wee cricket coaching from 3 to 6 years old and from 7 years old and up we do traditional Academy Cricket Coaching. 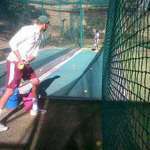 We have an awesome team of expert coaches and excellent net facility to help foster a love for the game of cricket. Not more than 4 children per coach. Private coaching and wicket keeper coaching for all ages, including parents. Pricing: R500 for the full 5 days, alternatively you may chose R150 per day. Children may be ​dropped off at the academy between 8am and 9am. Please pack a lunch and water bottle. These coaches are amazing. Dedicated and committed. Strongly recommended.